Complementary Valet is offered as well as a parking lot adjacent to the building. Public Transit is not available. However, a COTA bus stop is located near the intersection of Morse and Hamilton roads. 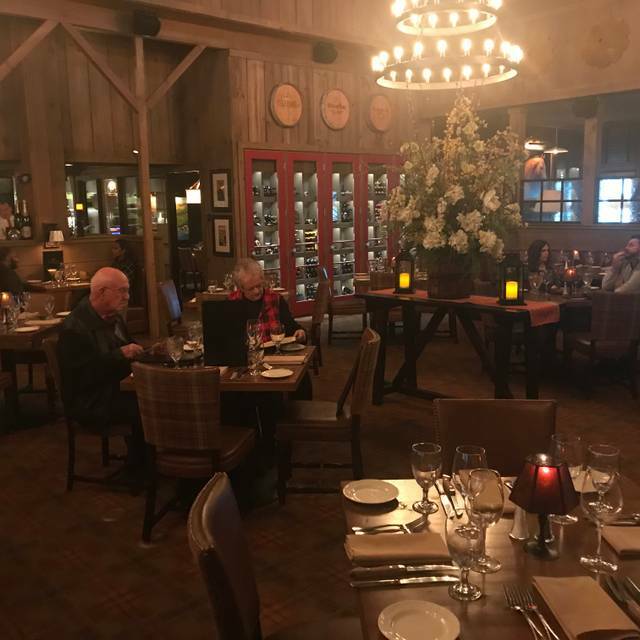 The Barn at Rocky Fork Creek, located on East Johnstown Road in Gahanna, is a natural choice for events large and small. The Barn offers two private dining rooms that may accommodate up to 50 guests, and is available during morning and afternoon hours, Monday through Saturday while the restaurant is closed, and nightly during dinner service. Several menu options are available to help plan the perfect event. With its pastoral setting and abundant rural elegance, a visit to The Barn at Rocky Fork Creek transforms dining out into an unforgettable culinary outing. Serving traditional cuisine refined by the inventive artisan chefs from Cameron Mitchell Restaurants, The Barn features an onsite smokehouse, butcher shop and bakery. Also on the grounds is a rustic, bourbon-centric bar that pours 50 of the world’s finest; along with classic cocktails and a robust list of superb wines, ales and lagers. From celebrating family events and holidays; to showing off for out-of-town guests and business colleagues; or “just because,” The Barn at Rocky Fork Creek is sure to create enduring memories and traditions. Our server, Haley made this a memorable experience. She was attentive but not intrusive. The steaks were OUTSTANDING! The wine was excellent. We appreciate the whole experience and had a great time. I’ve been to The Barn several times. This is easily one of my my favorite restaurants. The food and service is always excellent. Will be returning very soon. We were there to celebrate my mother's birthday. The host wished her a happy birthday right off the bat and then our waitress did as well. My mom beamed. The food was amazing. For dessert you all all treated my mom to a dessert and she chose the coconut cake. It was out of this world. Thank you. I heard excellent stories about the food. Was disappointed in the lobster bisque very bland flavor. The porter house was excellent along with the coconut cake. Beautiful decor inside and out. Our server Danny was amazing provided great service. We sat in the loft and enjoyed the quieter, more intimate ambiance. Our server was very personable and friendly. We were very happy with our date-night evening! Drinks were great. Happy with the service and our meals were fantastic. Our server, Megan, was the best we have had in years. Great service and overall experience for date night. I would recommend sitting in bar area for a more lively atmosphere. Food was terrible except for calamari appetizer. Worse than Applebee’s and far more expensive. Extremely disappointing. Made my mom's birthday very special. It is her favorite restaurant. Thank you! Always made to feel special and appreciated at The Barn. Loved the bone in filet. I gave 3 stars for the value and 4 for the food. Both would have been 5 stars had there been some seafood aside the peel & eat shrimp. 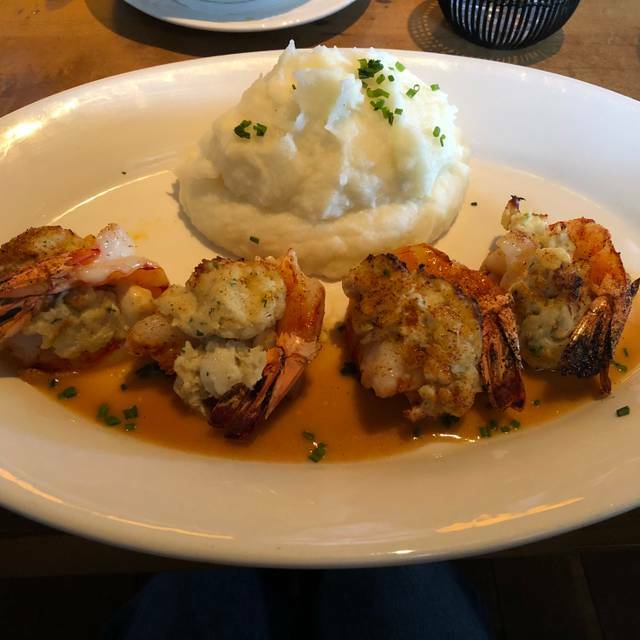 The food that we did have was fantastic, but like I said, adding maybe some crab legs or scallops or just some other seafood choice would have made our experience much more valuable. Not our first time here. 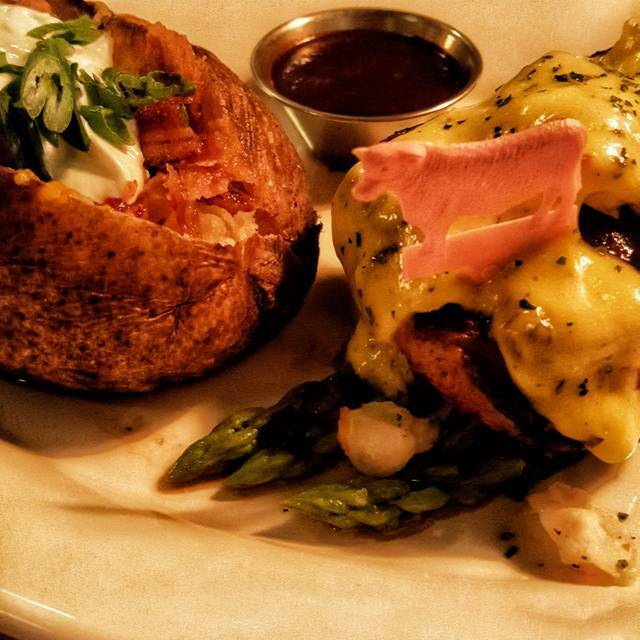 There's a reason we always come back- great food, great service, beautiful atmosphere. Thanks for hosting us yet again!!! We absolutely love this restaurant! The food is fantastic and the service is beyond compare (Haley is awesome!). Always a destination for special occasions - not inexpensive, but so worth it! Great food and service! Loved the coconut cake! A member of our party was using a walker and they were very accomadating. The servers were amazing with all the extra added people that showed up to the table. Food was amazing and service was top notch. This was our first experience dining at The Barn and it will not be our last. We were celebrating our 35th wedding anniversary. Our server was top notch! 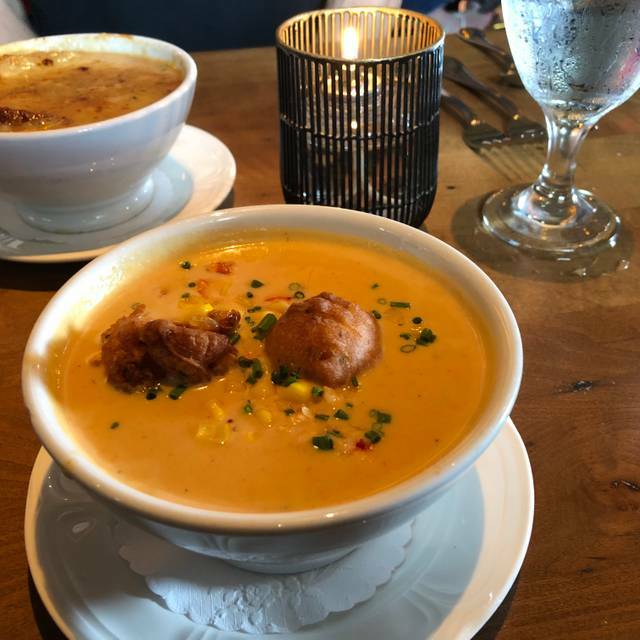 The lobster bisque was fabulous! After dinner we enjoyed a drink at the bar and found the bar staff to be fantastic as well! Beautiful restaurant, wonderful staff and delicious food! Everything the 4 of us ordered was great and our server was wonderful! The food was good but our service was very slow and we felt that our server should have been more attentive. He was good but this level of a restaurant the service should be better. Great Birthday dinner! Dan was a great waiter! The food just isn't consistent. I order the ribs most times, its glistening and moist on one day, the next it appears dry, the rub never tastes the same and the meat is almost always overcooked (falls off the bone...). Service is good. It may be a tad over-priced. Service was swift and attentive. The Prime Rib was cooked to perfection... medium rare from edge to edge, without a bit of gray. Dessert portions are large, and both of the ones we ordered were excellent. Excellent food and service. Enjoyed ourselves immensely. Jane was amazing! We will definitely be back! I can’t say enough about how amazing it was! From the Bloody Mar bar to the fried chicken! This was our third time going to the Barn's Sunday Brunch. It is well worth the money. 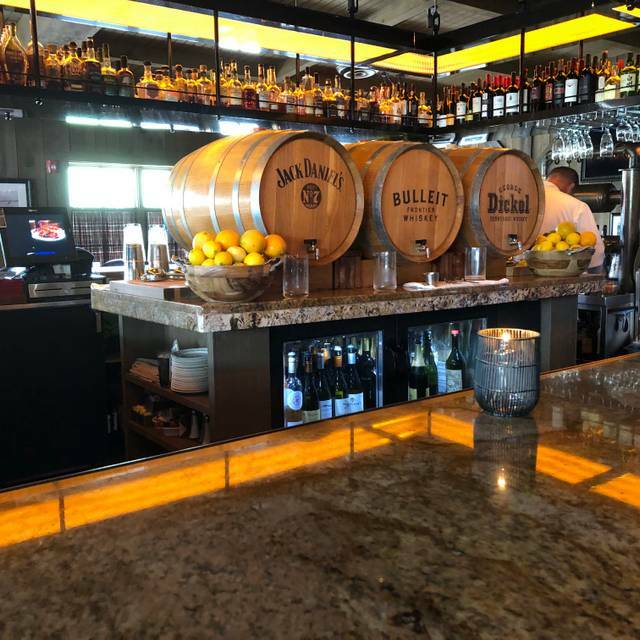 Outstanding options, great drinks, and wonderful service. Always a great brunch!! Enjoyed celebrating my birthday. Had a problem with the reservation. Had made reservation thru open table but called a couple of days before to request a table as I have some mobility issues. I was assured I would have a table not a booth. When I checked in they were going to seat my party in a booth. I said I requested a table. At this point I was told it would be 90 minute wait. I said that was unacceptable and I had made a reservation They were choosing not to honor my reservation. I was asked to take a seat and they would see what they could do. They did honor my reservation finally and we enjoyed the heated patio. This is the first time in many visits I’ve ever given The Barn anything less than a perfect review. Unfortunately it was a combonation of little things that added up to an overall less than expected experience. 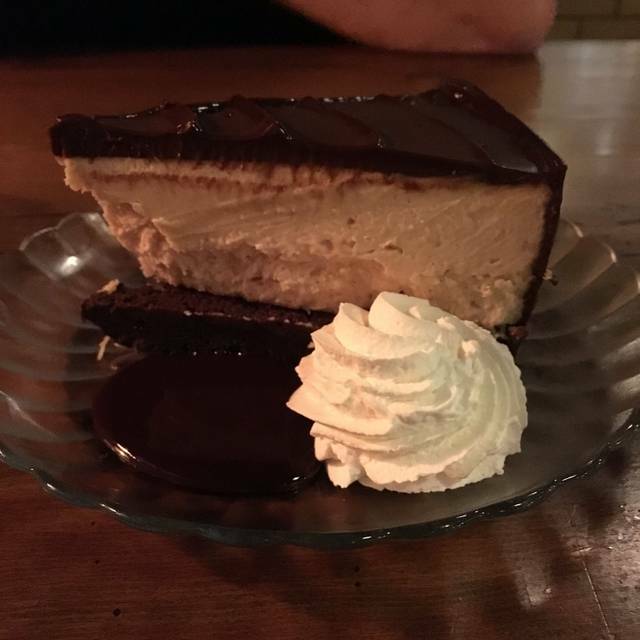 Our server did not ask if we were celebrating (we were, a 30th birthday with was noted in the reservation), a member of our party was left to dine without a steak knife, even after asking for one. Another member of our party requested a cocktail straw for her drink and had to remind our server 2 more times before getting it. One of our salads was ordered without onion, but was delivered to the table with onion. 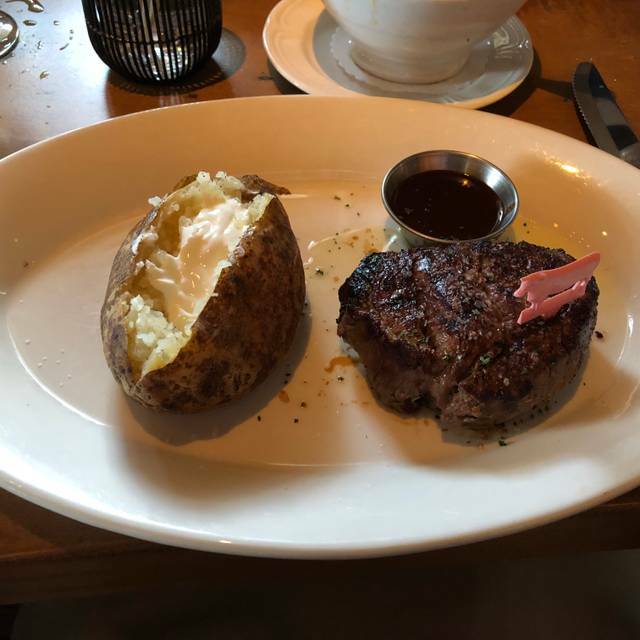 My wife’s steak was ordered medium, but came out medium rare. And we were sad to see that dessert is no longer covered for a special occasion (or if it is our server failed to note the occasion). 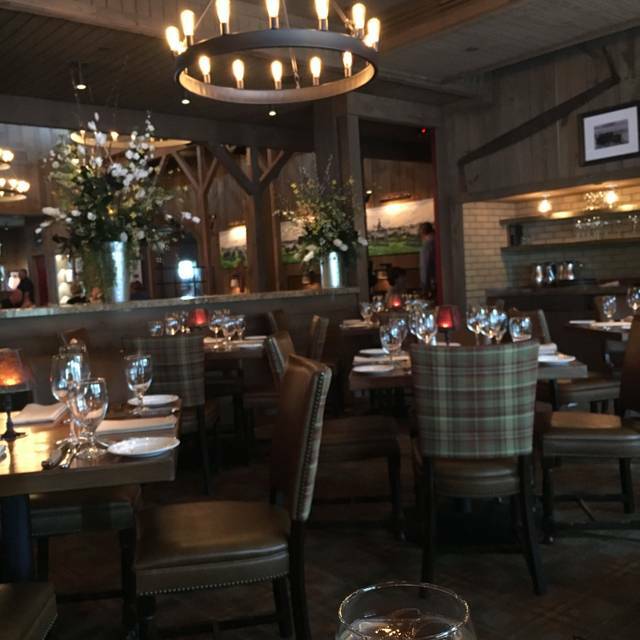 Of course we will be back, The Barn is truly exceptional and will remain my favorite place to eat in Columbus. Hopefully next time we get assigned one of your excellent service people, one of the best things about The Barn is the service and if it is not tip top it shows. Food was exceptional. Service great. I've been to The Barn a couple of times and I've been consistently pleased each time. We did have a bit of a wait this last visit. I made a reservation for 2 online for 7:15 pm on a Friday. We arrived and were told they were clearing off some tables and it would just be a few minutes, but it was almost 30 minutes. This was a bit of a turn off since we did have a reservation, but this didn't happen either of the other times we'd been there. The food is very good. I had the filet, which was cooked as ordered and had a very flavorful rub or seasoning on the outside. My husband's favorite item of the meal was the creme brûlée and he's a connoisseur. The atmosphere is a little on the loud side, especially if you're eating in the bar, but the lighting is soft and there's plenty of space between tables. I would recommend The Barn for classic "meat & potatoes" items, but done really well and offered with a flair. We enjoyed a lovely comfortable evening and a delicious meal. I have food allergies and I know I can enjoy a delicious and safe meal. The chefs make every part the of my meal so they can list the ingredients and modify a meal for me often. We had a marvelous table for 4 by the window overlooking the patio. 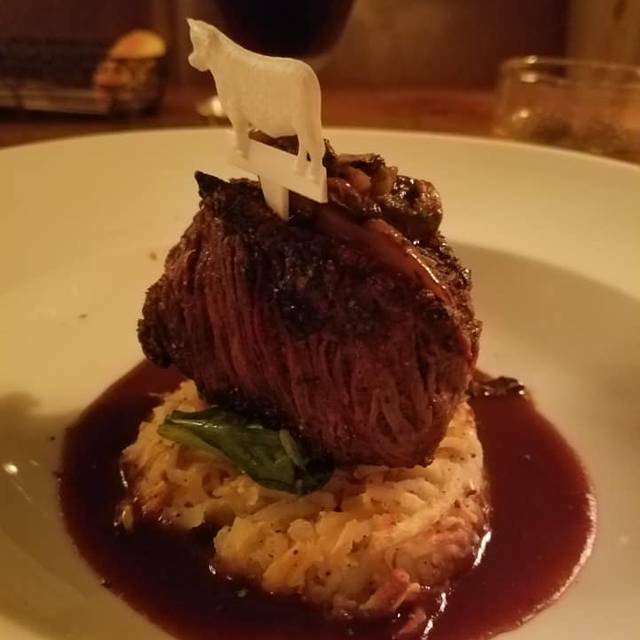 My filet was out of this world with the most delicious char. All at the table marveled at the food presentation as well as the flavor. Cocktails are superb too. Jane was an awesome server...friendly, attentive and professional. I can’t say enough about the environment and furnishings...created a comfortable, inviting vibe. All employees are well trained and go above and beyond to please. It was a wonderful evening. Our Waitress Rochelle was delightful. She was energetic, loved her job, and was very attentive. The food was excellent ( Queen size prime rib, and Crab stuffed Shrimp ) . Lobster Bisque, and the Shrimp cocktail were excellent appetizers. The ambiance was perfect. Dining at 5 p.m. avoided the major rush of other diners and allowed us to thoroughly enjoy dining there. We look forward to coming back in the near future. Excellent dinner! Food was outstanding and our waiter; Thomas was wonderful! My mother’s 75th birthday. She loved everything: the look of the restaurant, the high quality service, awesome food. She hated, as did I, the disgusting couple siting at the table next to us. Wasn’t it obvious to you that they either needed to be sitting in the bar? Or possibly a hotel room? They pawed at each other constantly during almost our entire time in the dining area. When he wasn’t lifting up her shirt, he was grabbing her hind quarters. Or putting his hands into her groin. How did you miss that? Or did you ignore it and hoped it would stop? Amazing! I would recommend this for a romantic date night or celebratory dinner. We love the barn. Great appetizers, good drinks, great food. The restaurant is very nice but quite noisy. The sauerkraut balls, green beans and prime rib were excellent. The steak was not my favorite as they do not grill which is my preference. Steak is similar to Ruth’s Chris Steakhouse. Our service was terrible unfortunately. Multiple mistakes with our food and drinks. Both medium filets were well done on croutons were placed on my gluten free salad!